Spent most of the afternoon decorating work with wax resist and soluble salts. 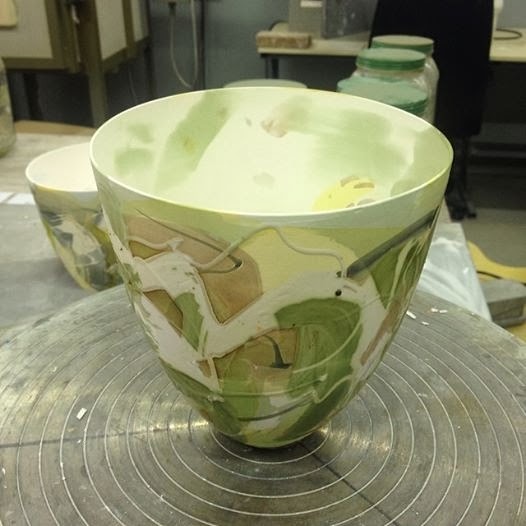 This is one of the decorated pieces before being placed in the kiln and fired to 1260oC. Always a tense time as so much can happen during the firing. Let's see what tomorrow brings! love these soluble salts decorations, will the green stay green?